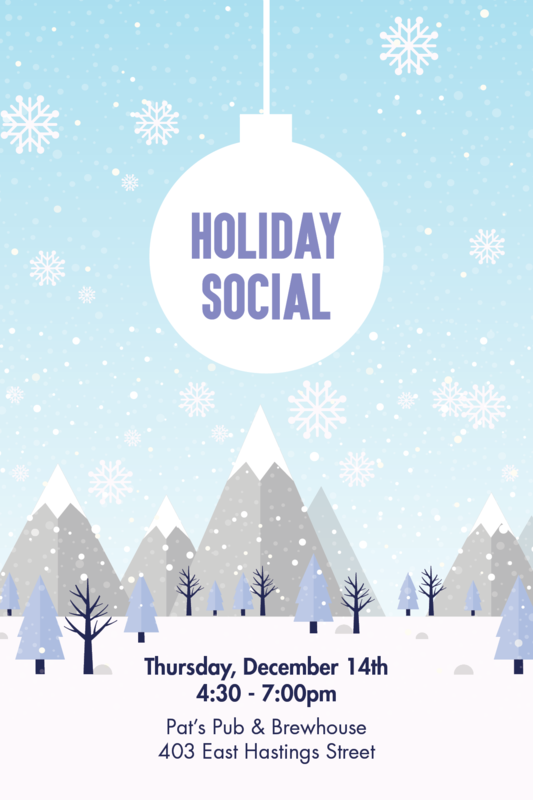 On Thursday, December 14th the SBIA will be hosting our Annual Holiday�Social�at Pat’s Pub, located at 403 East Hastings. Please join us for appetizers and drinks and to meet fellow business & community stakeholders! Guests who RSVP will receive a drink ticket.There will be door prizes and a cash bar. Thursday, December 14 from 4:30pm – 7:00pm – Drop in event. Even if you can only make it for a bit it would be great to see you!